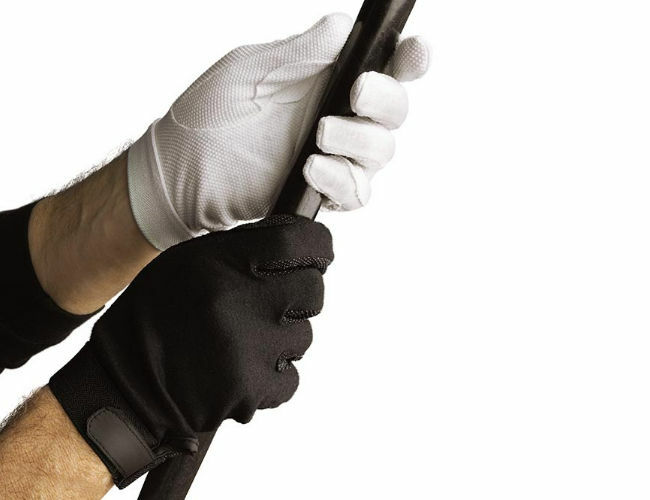 White dot grip gloves used by drummers to give extra grip. Has Velcro cuff for comfort. Cotton gloves with rubberized non-slip dots for grip drip. Reinforced at the palms and between the fingers. Used by drummers and flag bearers. Gloves can be washed.